Children diagnosed with ADHD show pronounced impairments in both “cold” executive and “hot” motivational control. 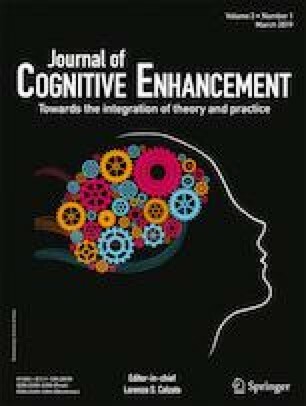 Importantly, recent cognitive training studies suggested that practice in shifting between competing tasks in alternating runs can promote executive control functioning in ADHD children and may especially in a motivationally enriched training setting, such as by adding video game elements. The aim of the present study was to examine how a game-based training environment influences motivational variables, such as training willingness (i.e., voluntary motivation) and behavioral inappropriateness (i.e., involuntary drive), as well as executive control during a cognitive training invention (a task-shifting training) in children with ADHD. Therefore, children diagnosed with the ADHD combined subtype were trained in either a low-(LowMot) or a high-motivational (HighMot) training setting. Results revealed that the HighMot-setting compared to the LowMot-setting (1) led to higher voluntary motivational control, but also to more behavioral inappropriateness and (2) did in turn not enable larger performance improvements in task shifting. The lacking incremental benefit from a HighMot training setting on cognitive performance will be discussed in the light of notions on an adequate arousal-performance relationship. Based on these findings, directions for future training interventions in ADHD children will be discussed. The online version of this article ( https://doi.org/10.1007/s41465-018-0083-2) contains supplementary material, which is available to authorized users. The authors would like to thank Philipp Matthias Müller and Johannes Tröger for their support in conceiving the research design and implementing the video game environment. The authors would further thank Sophie Ehrlicher, Benjamin Ersch, Therese Fredenhagen, Lena Grüneisen, Myriam Pukallus, Marina Raupach, Jessica Scheiwen, Anna Schramek, Daniel Schwarm, Britta Loew, and Linda Sommerfeld for their valuable help and assistance with data collection. Importantly, the authors would thank the SHG clinics Merzig, St. Wendel, Kleinblittersdorf, and Schönbach (Saarland Heilstätten GmbH) for the good cooperation and support (special thanks to Prof. Dr. Eva Möhler, Dr. Janosch Haußmann, Stephan Schmitt-Dier, Anette Brausch, Ansaf Ewaiwi, Fabian Justinger, Anna Lisa Lermen, Volker Scheid, Gabriele Schönau, and all other voluntary helpers). Sandra Dörrenbächer carried out the statistical analyses and interpretations and contributed the most to the writing of the paper. Jutta Kray was the principal investigator, provided substantial support in proofreading the manuscript, and gave the final approval of the version to be published. Intellectual content was collectively revised by all authors. All authors read and approved the final manuscript. This work was funded by the German Research Foundation under Grant DFG-IRTG-1457. For all children, written informed consent from one of their parents was warranted in accordance with the protocols approved by the local ethics committee at Saarland University.